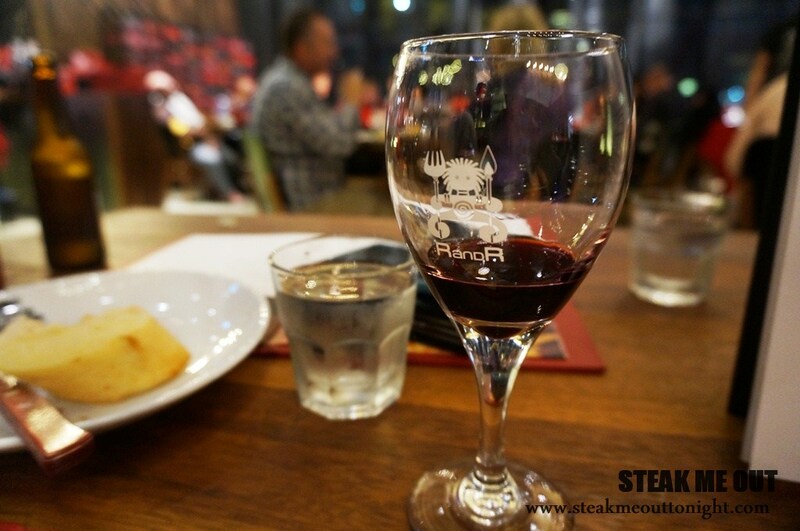 First time I heard of Ribs and Rumps was in Sydney, and like Hurricanes and Meat and Wine Co before it, it’s a place that is all about steak and ribs. It’s opened up the first, dare I say of many in Melbourne at the Northland Shopping centre. After seeing the menu online,I knew exactly what I was ordering: half steak, half ribs. 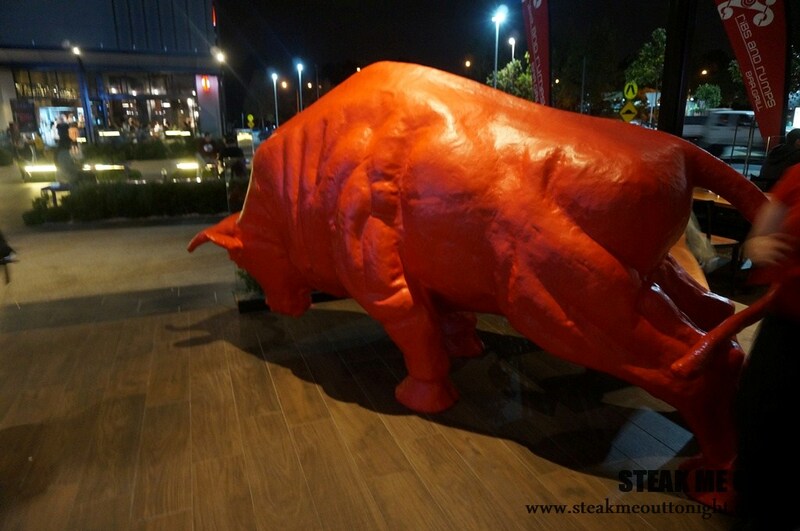 I’m very tentative with chain restaurants and as such I went in with mediocre expectations. As we went to order the waitress told us there was a hold on orders for 20-30 minutes due to the high demand of the kitchen – she did however offer us some bread.We gladly accepted, and had their garlic butter bread. While bread is bread, this was still towards the lower end of the bell curve, pretty crappy garlic butter and a plain hot dog roll. When we finally got the chance to order I told the waitress to cook the steak rare if the chefs had a fear of overcooking it. 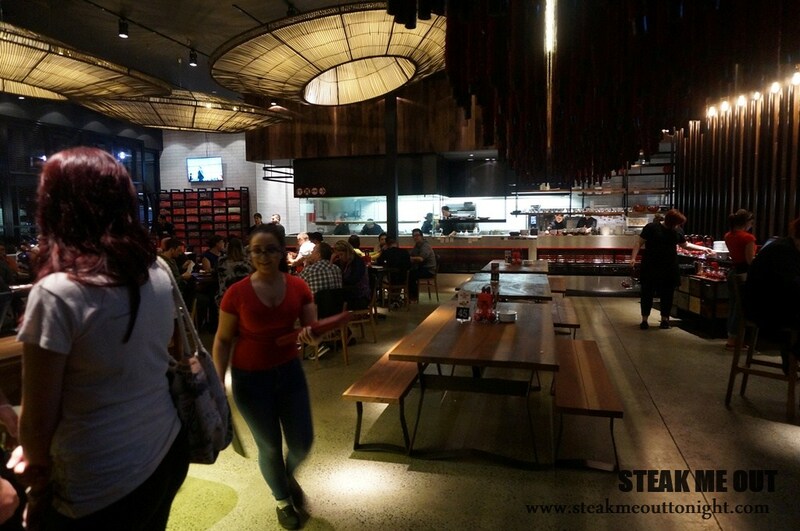 Now, normally I wouldn’t do this, but the kitchen is completely open at Ribs and Rumps, and during the time we were waiting to order I wandered up and had a quick gander. They seemed flustered and completely out of depth with the volume of cooking. After we placed the order the waitress told us we’d be expecting a 30-35 minute wait which I was ok with considering the amount of orders before us. 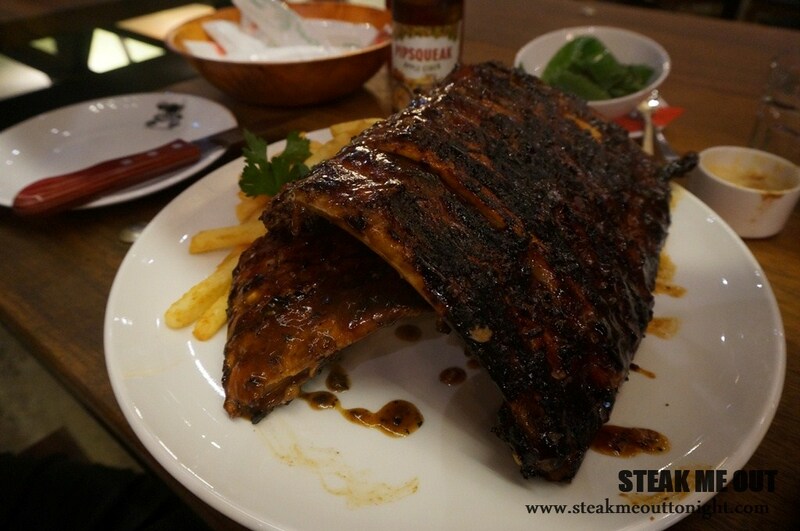 The Ribs hit the table first, and visually they were not overly appealing. They needed longer on the grill; they were still too white and not charred enough. The basting was also lacking. We sent them back, and asked them to cook it more and lather it with sauce. They instead brought us one that had just finished grilling, and were how we expected them to come out the first time. 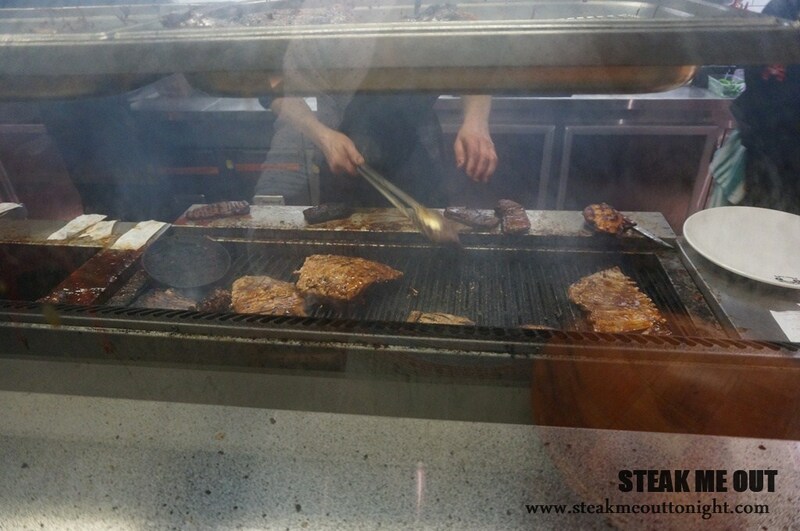 The steak came out next, and like the replacement ribs, it too looked and smelt good. 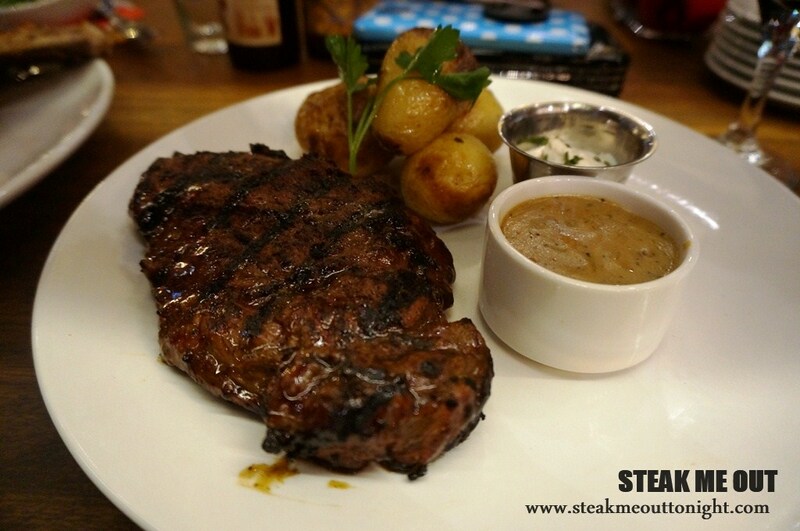 The steak was cooked in between medium rare and medium, and scarcely tender in spots. Luckily the flavour was ok, charred nicely, and seasoned passably. 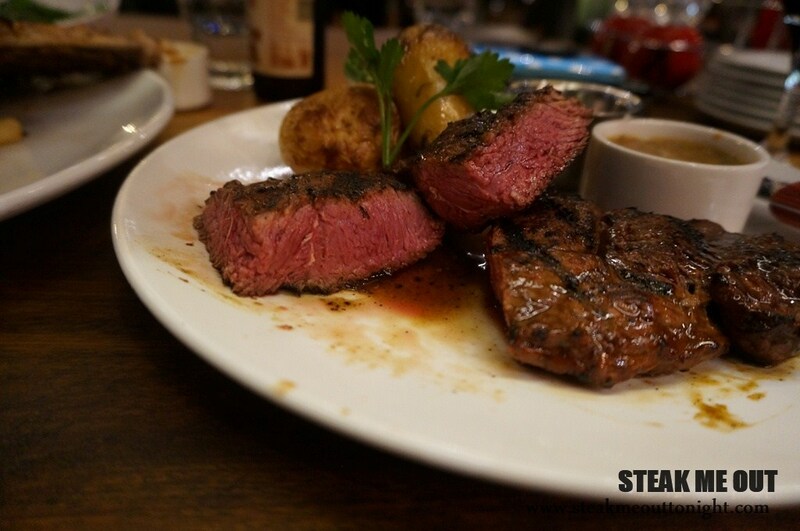 The beefiness was quite fleeting, but the addition of the basting helped somewhat to give it flavour. Don’t bother with the sauces, they were average at best. The ribs were nice in terms of basting flavour and char, as well as it being fall off the bone tender, but the pork flavour was nonexistent. It was like eating nicely grilled and basted soft cardboard, still, being hungry we didn’t let anything go to waste. 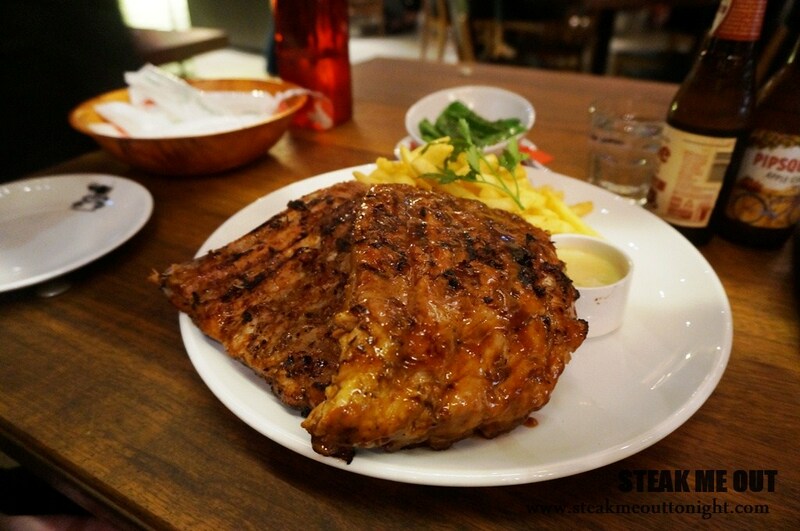 Overall I think the things about Ribs and Rumps I enjoyed the most was the baby potatoes and the Chips dipped in the grilled ribs basting. 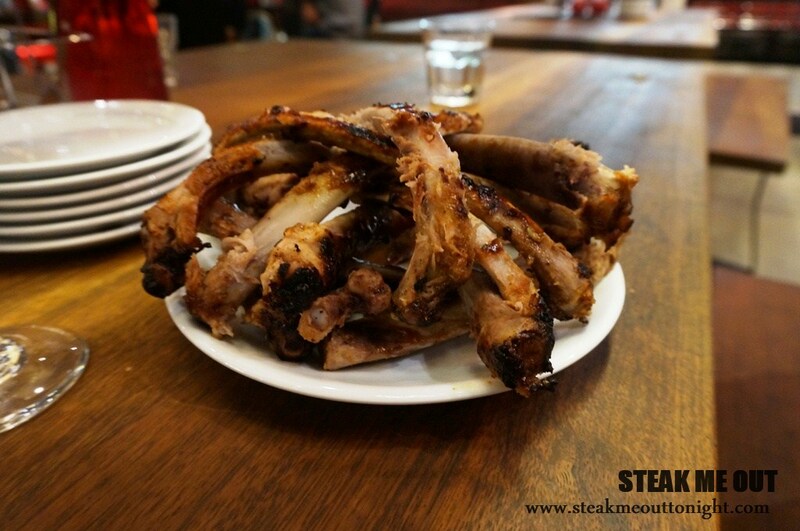 Posted on May 5, 2014 October 13, 2015 by AdrielPosted in Melbourne, Ribs, SteakTagged BBQ, Melbourne, Pork ribs, Ribs, Ribs and Rumps, Scotch Fillet, Steaks.